In the country's fast-paced smartphone age, Cherry Mobile has manage to become the premier local brand that offers premium-speced phones for the masses. Like any other firsts (first dual-core, first quad-core, etc), the company has also brought the first locally branded LTE phone with the W900 LTE. 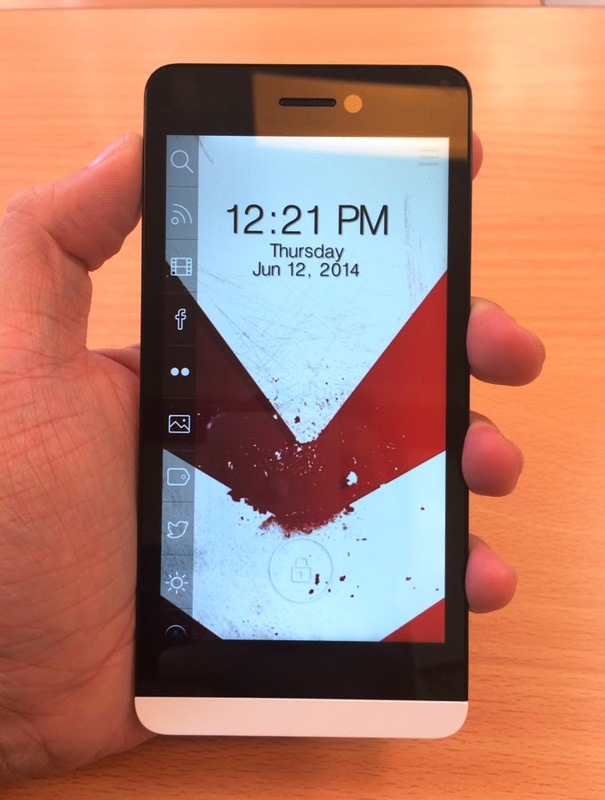 The phone offered a great deal to everyone who's up of having the pleasure of using the first local LTE smartphone. However, the W900 LTE was not your "LTE-ng-Bayan" phone due to its steep price standpoint. 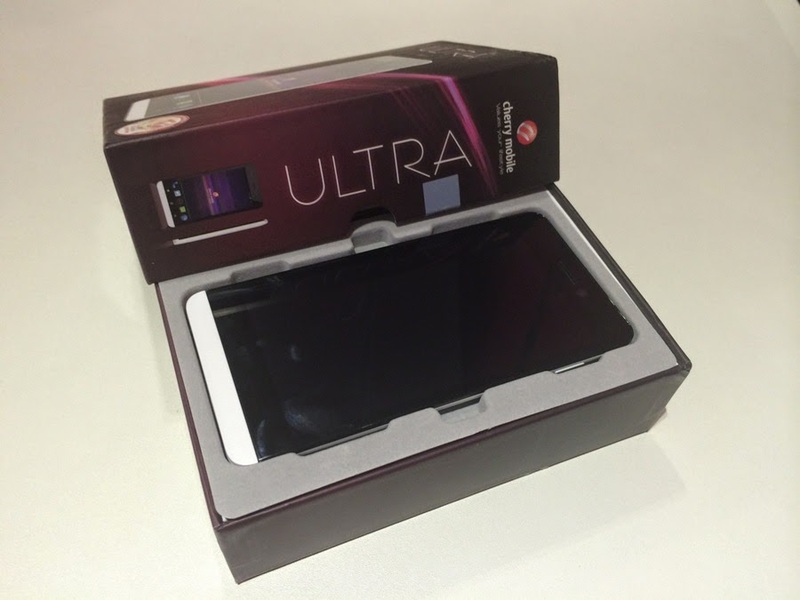 The Cherry Mobile Ultra is "that" phone: the company's second take to the LTE market. It comes with an appealing price of Php 8,999 and a lauded Qualcomm chipset. 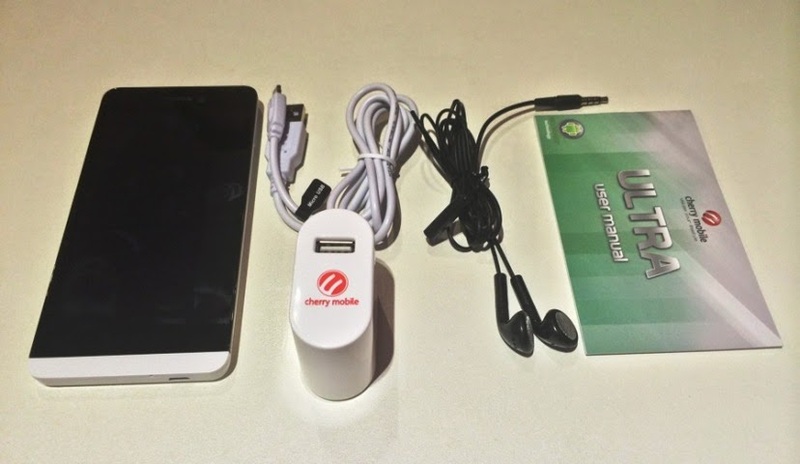 Our friends from Taragis.com sent us a review unit of Cherry Mobile Ultra and as the device hit our headquarters, we immediately took the wraps off and see what the latest handset has to offer in the table. The CM Ultra box does not deviate with other entry-level and mid-tier boxes. It's a no brainer that the box have the Ultra's press photo smack at the top with its feature set on the other side. Inside the box, you'll get the normal set of accessories - the iconic white Cherry charger, headphones, white USB cable, user manual, the battery and the actual device. Grabbing the device the first time feels like it's front heavy - the IPS screen's weight pull the plasticky back portion of the device. Of course, I realized that the battery wasn't snugged yet. So after the several seconds of figuring out how to pop off the back cover and snugging the battery, the device became sturdy. And when I say sturdy, I mean the plastic back cover snaps right in place making the Ultra look like a unibody device. 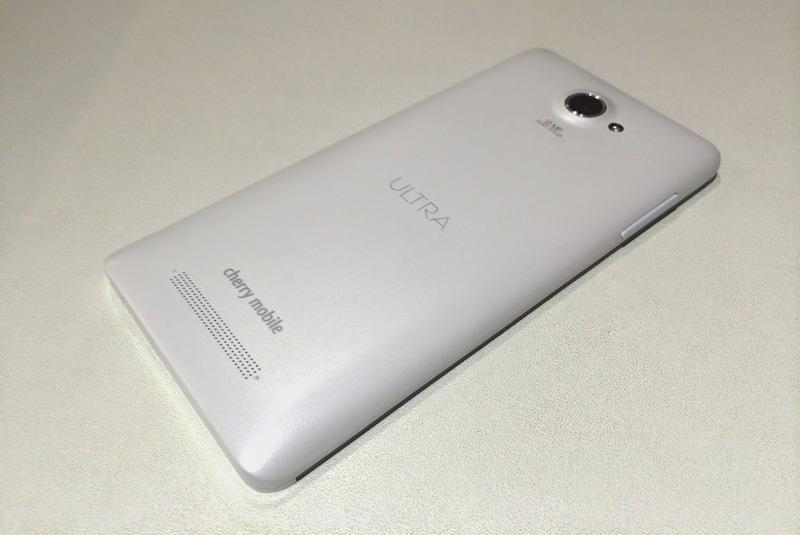 In terms of design and construction, the Cherry Mobile Ultra is very decent. 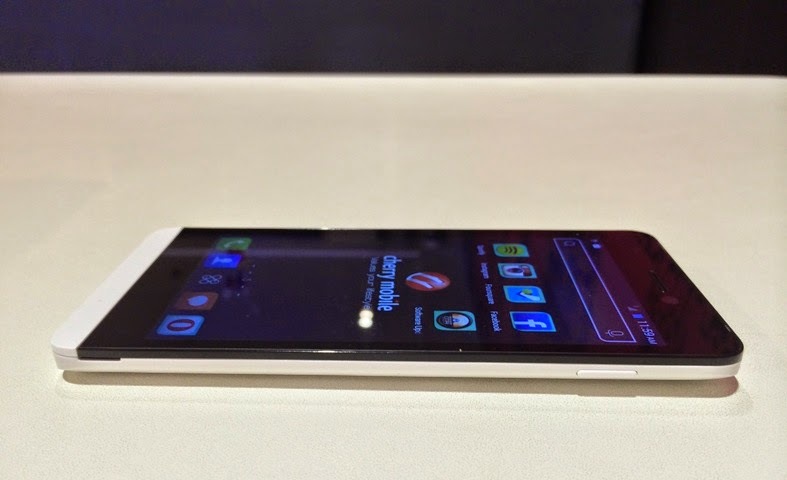 Looking at it head-on, the device resembles a bigger BlackBerry Z10 with its industrialized and minimalist appeal. The chamfered corners and curved back suggests that it is easy on the hand. And of course, you'll know that it is an Ultra due to the white band at the bottom of the front panel. The top side of the device houses the headphone jack. Bottom side has the microphone and the microUSB which is technically placed off the center. Left side has the volume rocker and the right has the sleep/wake (power) button. Flipping the device, you'll see the 13-megapixel worker accompanied by a single LED flash. Midway, you'll have the Ultra moniker and the speaker grill farther way across. 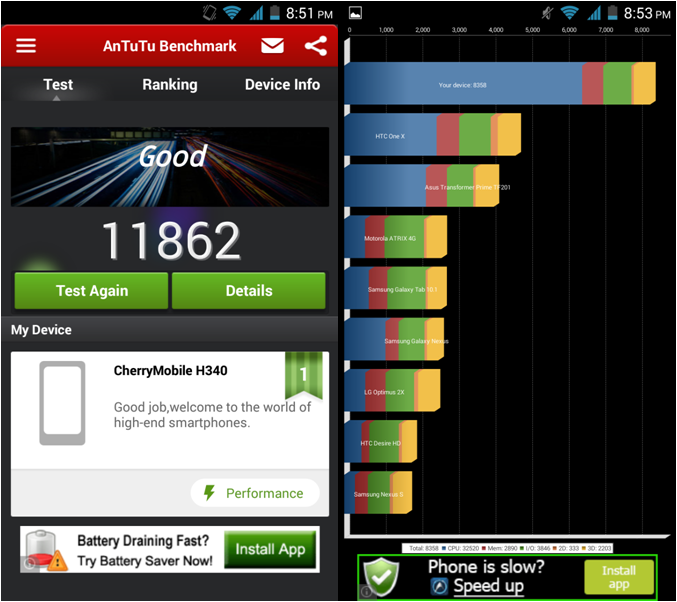 We also did a series of benchmarking with Antutu, Quadrant and NenaMark2. Check out the results below. So far I could say that the device is very promising - decent build and great design. 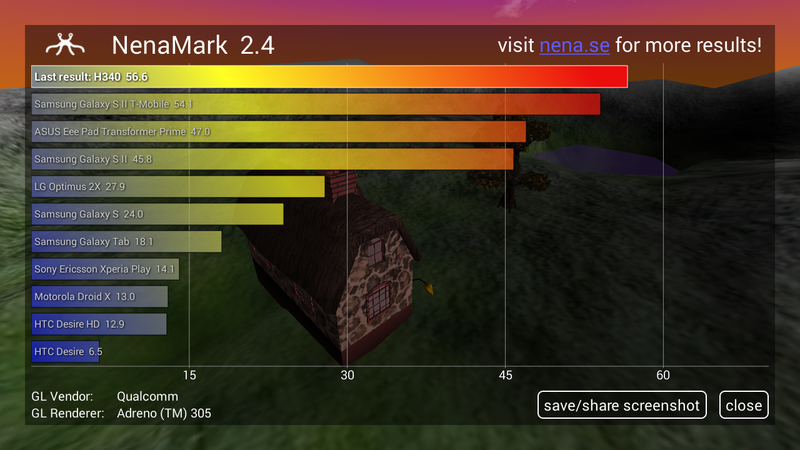 I also did a little playing with the interface and it did register to be smooth. But we'll have to save the rest of that in our full review. Stay tuned.